Oneworld Knox is located in the O-Zone section of Westfield Knox Shopping Centre. Their name aptly describes the variety of cuisines on offer, and by perusing their menu you can definitely tell that is the case. 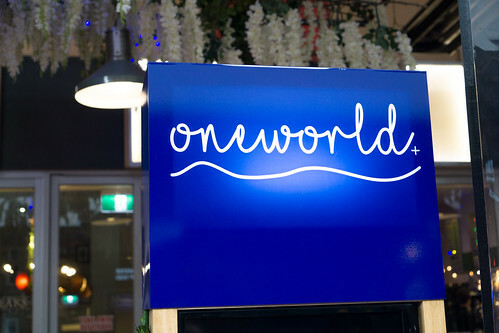 There’s African, Japanese, Thai, Chinese, Mexican, Indian, Italian and Spanish influences on Oneworld’s menu so there’s pretty much something for everyone. We were invited to dine at Oneworld, and one thing I noticed was that they go by the Farm to the Table philosophy, sourcing local produce for their dishes which I am a big fan of! 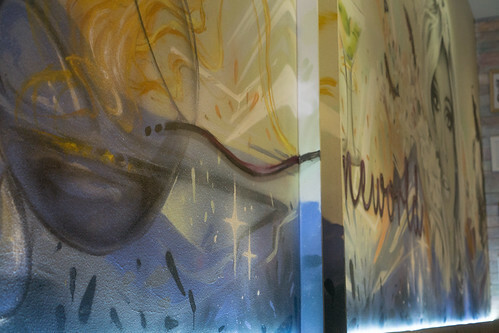 Oneworld have recently renovated and their fit out is cozy and welcoming, with overhanging plants and vibrant artwork on the walls. We were greeted by some friendly staff and of course, had to have a coffee to start off with. 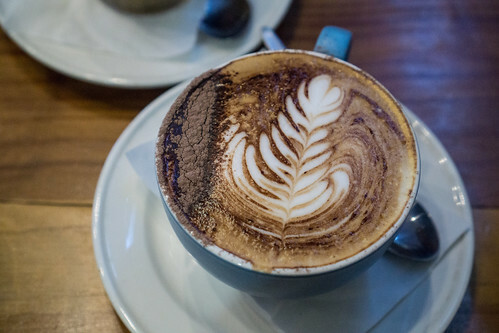 Their organic coffee is sourced from Healesville and has a lovely aroma to it but not too strong. 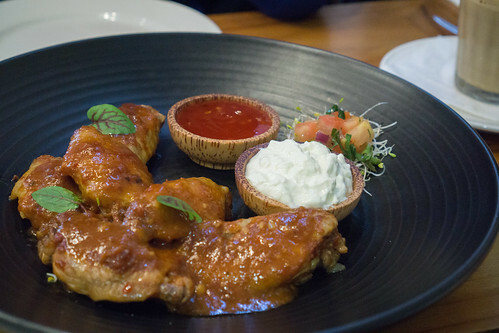 We ordered the Buffalo Wingettes and the marinade on the wings was very flavourful with a subtlety of spice that carries through it. Tender chicken that goes nicely with the sour cream, fresh diced tomatoes and alfalfa. The Fajitas were the standout at Oneworld. 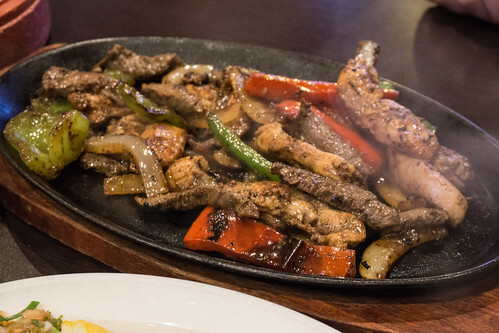 We ordered the chicken fajitas but you can also order it with beef, prawns or just vegetarian. 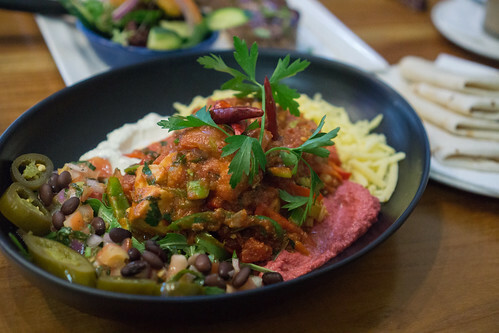 What I loved about this dish was the fantastic flavours of that salsa and the chicken was perfectly cooked. Often, you’d find chicken to dry out, especially breast meat but here it was very well cooked. The puree of cherries, capsicum, onions, and celery that when combined create this pink puree was something I hadn’t had before, but what a great combination that adds a bit of sweetness to the dish. I wish I could make that so I could have it as a dip! 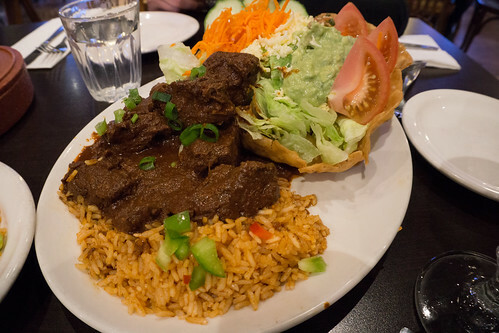 This dish you could probably even feed two people with just a few more tortillas. 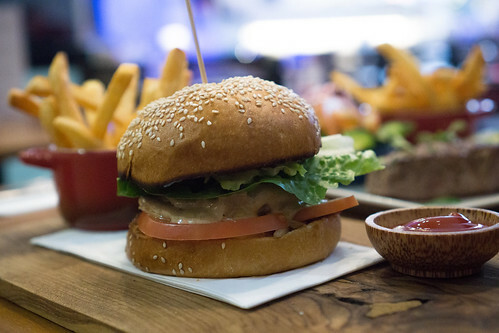 I like trying new things, so when I saw Camel Burger on the menu I was instantly drawn to it. Their camel meat is from South Australia, and it’s served with tomato sauce and fries. Surprisingly enough, it was actually quite tasty, camel meat tastes like a more robust beef or veal but just different. The Oneworld sauce that goes with it pairs well, with it’s slight creaminess. Though, the downside is that camel meat seems a bit more lean, so I found it just a tad dry even with the sauce. Overall, it’s a pretty decent burger! The Porterhouse Steak you can have your choice of garlic butter, mushroom jus or chimichuri sauce. If you choose the garlic butter, they actually provide you with a very generous serving of it in a small bowl. I’d have preferred a garlic butter sauce but the garlic butter was quite nice, though you probably don’t feel like having so much knowing how rich it is. 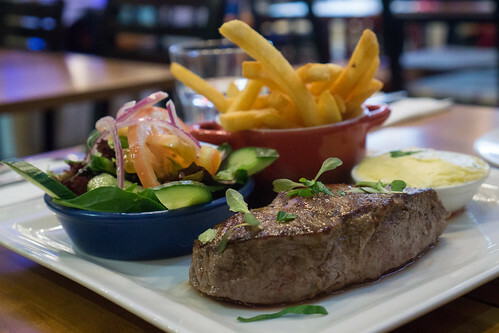 The steak was also cooked to our request of medium and the salad gives the freshness it needs. Oneworld Knox has an extensive menu with a great variety of tasty foods on offer, and with friendly staff which is a major plus to me! 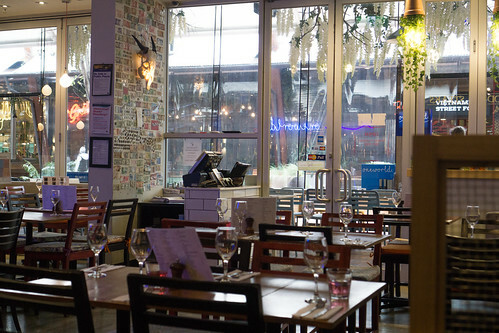 Open for Breakfast, Lunch and Dinner, or just for some desserts or drinks, if you so fancy. Try the Fajitas! After an extensive search on Zomato I came across Nachos Cantina in Mount Waverley which had pretty great reviews to its name. I love Mexican food; flavourful meat, corn, rice, sometimes spicy, and copious amounts of cheese. What’s more to love? 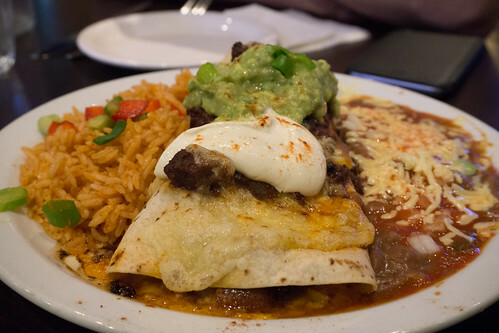 Nachos Cantina’s Enchiladas are absolutely delicious. Served with rice these are a little bit spicy but everything complements each other. 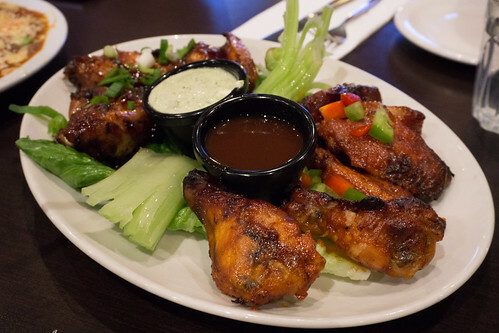 I was a bit disappointed by the Buffalo Wings, we ordered a mix of Spicy and BBQ, but for the price and taste wise it wasn’t anything special. The Sizziling Fajitas with rice and warm tortillas, guacamole and salsa was another tasty dish. I loved the marinade they add to the meat, and eaten with the tortilla and salad it’s a great meal. Tex Mex Ribs with Mexican Salad was an interesting one. The salad comes in a deep fried cup but I found that a tad too oily for my liking. The ribs were tender but wasn’t a big fan of the flavour. The rice in all the dishes, on the other hand, was flavourful and fresh. Delicious meals for a great price and I now don’t have to venture too far for good Mexican food.